DIDN’T WE JUST HAVE AN ELECTION WHERE THE VOTERS CHOSE TO END OBAMACARE? So much for Barack Obama promising a peaceful transition to president-elect Donald Trump. As reported at Politico, lame-duck Barack Obama plans to meet on Wednesday with congressional Democrats on how to save his failed signature piece of legislation, Obamacare. In direct contract with the will of the American people. The repeal and replacement of Obamacare was on the ballot during the 2016 presidential election that saw Donald Trump win in a electoral college landslide. But, just like how the LEFT and Democrats refuse to acknowledge the Trump victory, they are also trying to resist the will of the people who want an end to Obamacare and have it replaced with something affordable and a more common sense approach to healthcare. After Obama gets back from his lavish vacation, he looks to save his unaffordable, Affordable health care law. 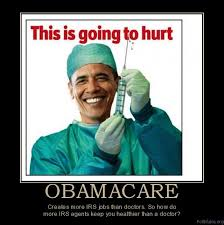 Now Obama and Democrats look to bring back the old lies that the GOP looks to take away your healthcare. Incoming Senate Minority Leader Chuck Schumer (D-N.Y.) has promised to stand firm against repeal efforts and subsequently, Republican efforts to replace the Affordable Care Act with a more conservative framework. And a conference call convened by House Democrats earlier this week focused largely on emphasizing the benefits of Obamacare, with House Minority Leader Nancy Pelosi (D-Calif.) noting that she sees parallels between the current situation and the 2005 effort by then-President George W. Bush to privatize Social Security, according to an aide on the call. “The Affordable Care Act has been successful in meeting its goals of reducing cost, increasing access and improving quality of care,” Pelosi wrote to members in a “Dear Colleague” letter this week. Democrats are also launching a broader health care offensive against Republicans that focuses not only on their push to repeal Obamacare but any prospective efforts from the GOP to overhaul Medicare and Medicaid. To that end, Democrats, led by Schumer, Pelosi and liberal firebrand Sen. Bernie Sanders (I-Vt.) — will host a so-called “day of action” on Jan. 15 that is meant to rev up grass roots support for shielding social safety net programs. 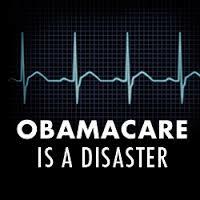 Barack Obama and Democrats refuse to admit that Obamacare has been a lie and a complete failure. Then again, what’s new? They think they also won the 2016 elections. So much for elections having consequences like Obama once told the GOP. That of course is different when the shoe is on the left foot. In an speech Tuesday night in West Bend, WI Donald Trump spoke the undeniable truth when he stated that it was Hillary Clinton and Democrats who talk down to the black community, take their votes for granted and actually harm, not help blacks. Trump said, “We reject the bigotry of Hillary Clinton, which panders to and talks down to communities of color and sees them only as votes.” Trump went on to say, I will be a voice for all voices,” as he stated that the Democrat party nominated the personification of special interest. I have said this for years with regards to the black community. Why on earth would a segment of the population vote in such lockstep at 92 to 95 percent and get nothing for it? How is the war on poverty going in the black communities? How is the unemployment rate and the number of of blacks on food stamps for blacks currently under the first black American president? Then take a look at what failed liberal polices have done in cities like Detroit, Chicago, Baltimore and most recently Milwaukee. The other party – the Democratic Party – nominated the personification of special interest corruption. The Democratic Party rigged the nomination to give it to Hillary Clinton, thus giving the soul of their party this year to the special interests. The African-American community has been taken for granted for decades by the Democratic Party. It’s time to break with the failures of the past – I want to offer Americans a new future. The hedge fund managers, the Wall Street investors, the professional political class. Donald Trump says that Hillary Clinton is being a good little Obama foot soldier not going against him because “He’s [Obama] protecting her from going to jail, so she’s not going to use it. Trump is referring to the fact that Obama holds in his hands whether Hillary Clinton will have charges brought against her in the private email server crime she committed. We all know she is guilty as sin of committing a crime against the United States, but this is politics where the political ruling class get to play by a different set of rules. Hillary Clinton uses the term “radical jihadism” rather than “radical Islamic terrorism” because she is “probably afraid” of President Barack Obama, Donald Trump said Monday. “He’s the boss, OK? And she’s probably afraid of him because, obviously, you know, she probably thinks that he has a profound effect over her life,” Trump said during a telephone interview on CNN’s “New Day” a day after the terrorist attack at an Orlando, Florida, gay nightclub killed 49 and injured at least 53. Alluding to the ongoing FBI investigation into the private server Clinton used for official business at the State Department, Trump remarked that Clinton’s decision to call it by that name as a calculated move.